Well it looks like "Touch" IS going to be Natasha Bedingfield's first single. I thought it was just a promotional single but the song has already been serviced to U.S. radio and she's now performed it twice live on US TV. Sounds like the single treatment to me! Now all we need is a video! Nat's most recent performance was on Fox's reality dancing competition, So You Think You Can Dance. Dancing with her on stage are some of the show's contestants, which is pretty cool. Vocally, I think her performance on Ellen Degeneres' show was a bit better but this song is a pop/dance track and Bedingfield is REALLY hustling on this stage. I think that talking bit of the song makes for a rough transition into the actual song but when she belts out those big notes, she really hits it and sounds phenom. At least she's singing live!, right? The choreography works well with the song, although it seems to throw Bedingfield off a couple of times. All in all, a solid performance. "Touch" was produced by Julian Bunetta and Steve Kipner. Also working Bedingfield on the new album we have Brian Kennedy, Wyclef Jean, Sam Sparro, Mike Elizondo and Ryan Tedder. This song is HOT. 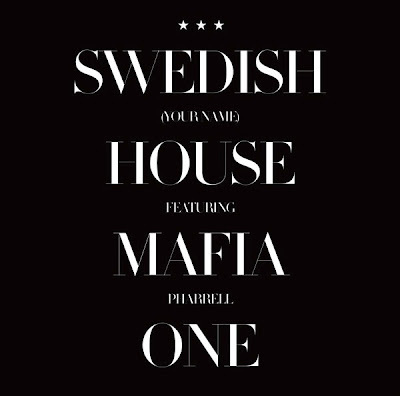 Swedish House Mafia is a "superstar DJ collective" (recently signed with EMI) made up of three of the club scene's biggest names: Axwell, Sebastian Ingrosso and Steve Angello. WOW. Powerhouse! Their first single, the Pharrell-assisted "One (Your Name)" was digitally released on June 28th via Astralwerks and is FAST becoming "the hottest underground house track of the summer." Check out this little teaser about the single's yet-to-be-released music video! Swedish House Mafia apparently put on an AMAZING show. So far the boys have played the mainstage at Ultra Music Festival in Miami, as well as at London's Brixton Academy. Most recently they hit up the Kinetic Field at the Electric Dasiy Carnival in Los Angeles and Wet Republic in Las Vegas. In August Swedish House Mafia will host their own tent at the UK electronica festival Creamfields. Pretty impressive! We can look forward to an album released later this summer, featuring "One (Your Name)" as well as highlights from each member of the group. Listen to the song below and buy it on iTunes! EEEK! Listen to this! These are the first 2 of 7 new official Katie Melua remixes to surface for her upcoming second single, "A Happy Place" which is out in the UK July 26th on Dramatico. Of the two, I think I'm leaning more towards the Beatnoids remix. It's a haunting remix. The Loverush UK mix is a bit more dancey, I guess, but I think the Beatnoids treatment just works better with the song. I love how they used the chorus. I'm interested to hear what Robbie Rivera has done with the track. Hopefully the promo I ordered comes soon. Listen to the remixes below and check out my original post on the remixes and watch the music video again. Katie Melua - A Happy Place (Loverush UK! Radio Edit) by Loverush UK! As if his TRIPLE THREAT status (singer/songwriter/producer) wasn't enough to brag about, Mike Posner is also a Duke University graduate?! Impressive! If you don't already know who Mike Posner is, you best get right on that. While his first single, "Cooler Than Me" currently sits pretty at #10 on Billboard's Hot 100 Chart, Posner is getting ready to release his debut album. 31 Minutes to Takeoff, due August 10th on J Records, was entire co-written AND co-produced by Posner and features A-List collaborations with Benny Blanco, Boys II Men, Smeezingtons and Travis Barker. "Something happens 31 minutes into the record. You're going to have to listen to find out what it is. All I can say is that both the listener and I will be in a higher place when it's over." I don't know what that means but I'm excited to find out! Not only is "Cooler Than Me" conquering the Hot 100 (where it peaked at #6), it's also getting some download love on iTunes where it's currently at #5 on the Songs Chart. This is NOT Posner's first iTunes success, oh no! Back in March 2009 he released a mixtape (recorded in his Duke U dorm!) and released it online, where it quickly rose to #1 on iTunesU. After finishing up at Duke (and signing his record deal) Posner set out to record his album but still managed to find time to release a second mixtape through, One Foot Out The Door, which featured high profile collabs with 3Oh!3, Kid Cudi and Wale. Busy man! Posner is also constantly on the road, performing live with 50 Cent, opened for Drake, performed at CMJ, Austin City Limits, SXSW, Bonnaroo and is currently playing the WARPED tour! Posner is one talented kid and 31 Minutes To Takeoff is bound to be one of THE albums of the summer. I don't know whether to LOVE or HATE our boy 'Archie.' On his season of American Idol, I didn't really like David Cook's genre of music but thought he was super talented. David Archuleta was talented too...but his music was kind of bland. 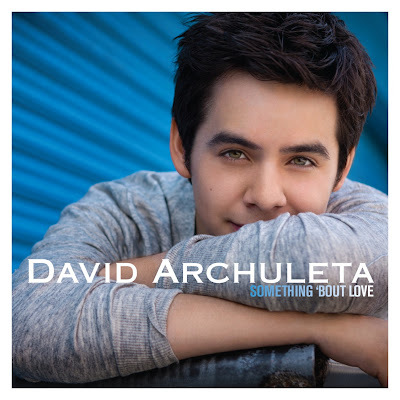 The new Archuleta single, "Something 'Bout Love" comes out digitally July 20th on Jive Records and I'm on the fence about the song. Written by Archie and the writing pair S*A*M and Sluggo (the duo behind Metro Station's "Shake It"), it doesn't really do ANYTHING for me. It's a fine, average pop song but there's no WOW factor. Let's be honest though, "Crush" wasn't anything brilliant either yet it managed to climb to the #2 spot on the Billboard Hot 100. I guess if Archuleta is happy releasing SAFE pop music time and time again, then so be it. I, for one am getting a little bored. "There's no WAY I could wait til September before you heard anything!! The song's called 'Push That Knot Away' - it's a signature track on the album for me, as it was one of my first attempts at mixing a picked acoustic tune with electronica. Big, magic step for me. Hope you dig it, as well as some little snippets of the film I've made over the last year which you'll be able to get your mitts on when the record comes out. Love KT"
"Push That Knot Away" isn't a single, just a tease. The official first single is called "Glamour Puss" and it won't be out until September 13th in the UK so for Tunstall to give us something THIS early is pretty darn nice of her. Also, check out that photo up at the top of the post. It's the first official promo photo from Tunstall's new record! Tiger Suit is out September 28th on Virgin Records.